Historian Van Ybiernas condemned the insensitive comments told by VP Leni Robredo regarding the issue of the conviction of former first lady Imelda Marcos for seven counts of Graft by the Sandigangbayan. Once again, the intelligence of the Vice President was brought up by Van Ybiernas in a post he shared on Facebook. He wondered if VP Leni is really dumb or just portraying herself to be dumb, because of her insensitive and tactless comments on the impending arrest of Imelda Marcos. 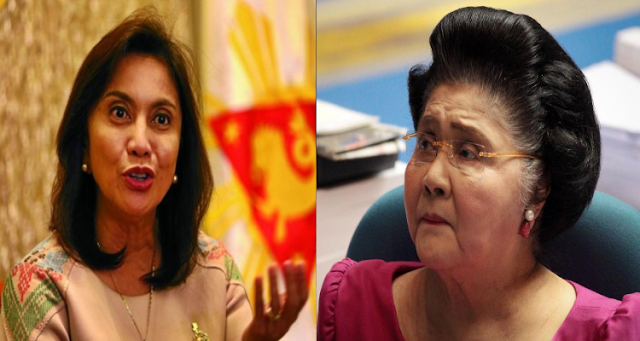 It can be recalled that VP Robredo said in a radio program that Imelda Marcos’ age should not be a justification for her to evade imprisonment. She further said that Marcos can still go to Congress, have just filed for a gubernatorial seat and can still party, so there is no reason for her not to be jailed. According to Ybiernas, Imelda Marcos is already 89 years old and is not very healthy. She indeed attended a party, because it is the birthday celebration of her daughter Imee, and she is wheelchair bound and did not exert much effort during the party. Ybiernas said that what Robredo and the Liberal party has is hatred over the Marcoses. It is not much about Imelda being guilty or the people getting justice, it is more of Vendetta, and it is not healthy. It can be remembered that after 27 years of trial, the Sandigangbayan finally made a judgment and found Imelda Marcos guilty of 7 counts of Graft for the alleged financial interests she has with several Swiss foundations while still holding office as Minister of Human Settlement and a member of Congress. According to the Marcos camp, they will appeal the conviction. Meanwhile, the palace also said that reports that president Duterte will grant Marcos a pardon are very premature. 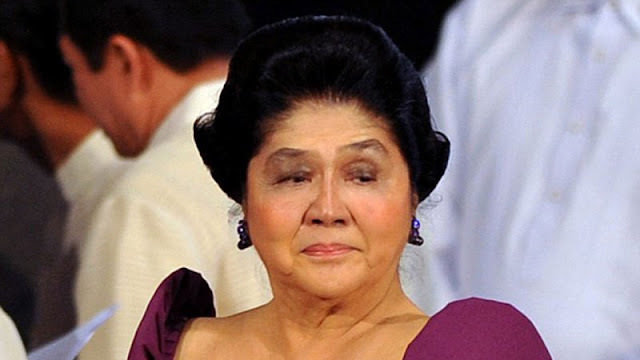 Imelda Marcos is 89 years old and very frail. Hatred na yang sa inyo. Hindi na yan healthy. Nakaka-attend pa kamo ng party? Aba'y oo naman. Naka-wheelchair lang naman yan. Wala namang exertions sa pag-attend ng party. Hindi naman siya ang tumadtad ng lechon o nagbubuhat ng limang galon ng mineral water o kaya ay case-case ng beer. Hindi naman niya inakyat ang poste sa palo sebo. Hindi naman siya nakipag-agawan-buko. Umattend lang naman ng party. Nakaupo. Nakipag-kwentuhan konti.